We're nature-loving city dwellers who spend much of our time deskbound and yearn to be a bit more active. We're not really fans of the gym but love to get out, stretch our legs and explore our local areas, especially with our young families in tow. But we'd been getting frustrated by how hard it is to uncover new places to do just that – take short and long local walks, find hidden trails in familiar haunts, and discover the nature on our doorstep and beyond. So we created Go Jauntly. A free community-based walking app, Go Jauntly invites you into a world of outdoor adventure. Find local walks created by the people who love and know them, create your own routes and share them with your friends and the Go Jauntly community. 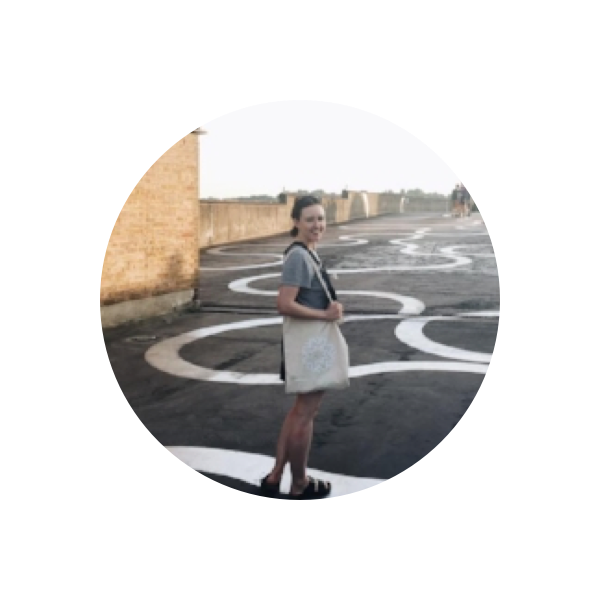 Hana has over 15 years experience in the digital product design business, previously operations director at at an award-winning design studio and now co-owner at Furthermore, a digital product and service design studio. Hana is at the front line of the business and in the past has led key projects for the likes of Google, Xbox and Nike, some of the world’s most innovative and disruptive brands. She is a strong believer in the power of tech for good. Her little jaunts are mostly with her husband and four year old explorer and as long as they are by the sea or have incredible views, they always finish their walks knackered but happy. Fave stroll? Sydenham Hill Woods in London. With 15 years experience under his belt, working both agency and client-side, Steve is our resident UX visionary. Formerly Head of Design and Product Management at Global Radio and founder at Furthermore, he is firm believer in iterative design, prototyping and user research at every juncture. Steve focuses on service design, user experience, user research and tech innovation day to day whilst simultaneously tending to his large collection of Rhododendrons. His walks are normally made up of nice views, rough terrain, places to go with kids, hills, lakes and lots of wildlife with the family in tow. Fave walk? Darent Valley Path from Eynsford to Shoreham in Kent. Fave hike? Ullswater in the Lake District. Fave wander? The New Forest in Hampshire. We are always up for getting more walks on the app to provide walkers with fresh routes and adventures to go on. We couldn't do it without our fabulous content ambassadors, who are always on the look out for their own unique walking adventures to share on Go Jauntly. 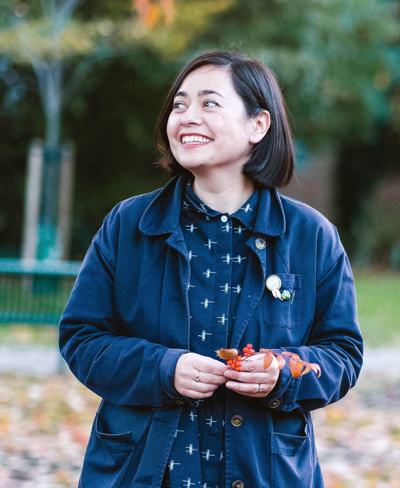 Author and artist of Ways to See Great Britain and Ways to Walk in London, Alice Stevenson is an expert in discovering the weird and wonderful in the UK. Paul Wood, aka The Street Tree, is an author and blogger who delights in the urban forest. His in app walks take you on some tree rich jaunts in which the various species. Aka The Urban Wanderer, is a Northern girl with a curious mind and wandering feet. Her jaunts take you to quirky places, hidden gems and city spaces, as well as canal adventures and countryside rambles. Our resident northern jaunster, Sarah has provided Go Jauntly with some of it's most breathtaking jaunts. A fan of a big walk aka Hike with incredible views, historical facts and woodland treks, Sarah's walks are for all types of explorers. Gabrielle is always on the hunt for the most picturesque jaunts out there and ones that are perfect for that ultimate Instagram shot. She knows where to be seen and when to be seen and more often than not there’s a stop (or two) for food or coffee as well as that is the way to Gabrielle's heart. Jamie is a lover of the outdoors, the environment and people in general. From lunchtime strolls, to Sunday hiking adventures, you'll be inspired by all of his favourite places and destinations. Claud and her family spend lots of time seeking out fun staycations across the UK and even as far afield as Sydney in Australia. For kid-friendly, wildlife fuelled fun, enjoy Claud’s walks around some of the best RSPB nature reserves on the outskirts of London. Aspiring Adventure Photographer and Environmental Scientist based in the UK, Simon has a passion for adventure and hiking and loves long expeditions further afield. If you’re looking for city-based walks in some of the nicest areas around London, follow our very own Shane Henderson on his hidden gem tours which explore his favourite shops, architectural gems and green space wanders. Think you'd make a great content ambassador for Go Jauntly? We'd love to get your explorations on the app!